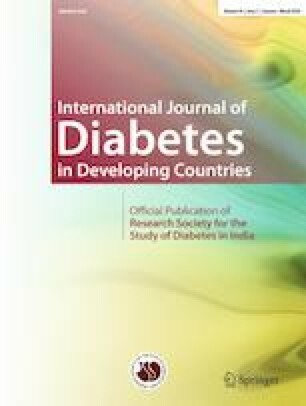 The aim of the present study was to examine the effects of consumption of breads with different glycemic index as part of a balanced diabetic diet on anthropometric and biochemical parameters in patients with type 2 diabetes mellitus. The study was conducted on 24 diabetic women who consulted the Dilovası State Hospital Medicine Polyclinic; the patients had been diagnosed with type 2 diabetes with body mass index (BMI) ≥ 25 kg/m2 and were aged 40.29 ± 6.81 years. A total of 24 subjects with type 2 diabetes were randomized to consume one of two breads as part of their diets, consuming whole grain bread or wheat bread for 4 weeks. Both groups’ macronutrient distribution was planned so that about 45–65% of their calorie intake was from carbohydrates, 25–35% was from fat, and 15–20% was from protein. All food with glycemic response except bread was suggested similarly for both groups. Nutritional status, glycemic index values of foods, anthropometric values (weight, waist circumference, BMI, etc. ), body composition, and biochemical analysis [fasting plasma glucose, fasting insulin, HbA1c, HOMA-IR, total cholesterol, triglycerides, LDL cholesterol, HDL cholesterol, and C-reactive protein (CRP)] were measured at the beginning and the end of the study. Decrease in the average daily glycemic index in the whole grain bread group was 33.45 ± 9.72%, while it was 21.79 ± 5.97% in the bread made from whole wheat flour. The decrease in glycemic index was statistically significant. There was a significant reduction in body weight, BMI, and waist circumference in both groups, but differences between groups were not significant (p > 0.05). A statistically significant, positive relationship was found between decrease in glycemic index and decrease in waist circumference (r(22) = 0.46, p = 0.025). While there was a significant decrease in HbA1c in patients who consume whole grain bread, there was a significant decrease in insulin and HOMA-IR in those who consume wheat bread. There were no statistically significant changes in plasma glucose, HDL cholesterol, total cholesterol, and triglyceride levels (p > 0.05). There is a need to further research to determine the effects of breads with different glycemic indices on glycemic control in patients with type 2 diabetes. The authors thank the volunteers who participated in this trial. All procedures performed in studies involving human participants were in accordance with the ethical standards of the institutional and/or national research committee and with the 1964 Helsinki declaration and its later amendments or comparable ethical standards. Informed consent was obtained from all individual participants included in the study and the study received the approval of the Committee on Human Research of Acibadem University code of ethics 215-7/12 (Istanbul, Turkey). Thomas D, Elliott EJ. Low glycaemic index, or low glycaemic load, diets for diabetes mellitus. Cochrane Database Syst Rev. 2009;(1):CD006296. doi: https://doi.org/10.1002/14651858.CD006296.pub2.